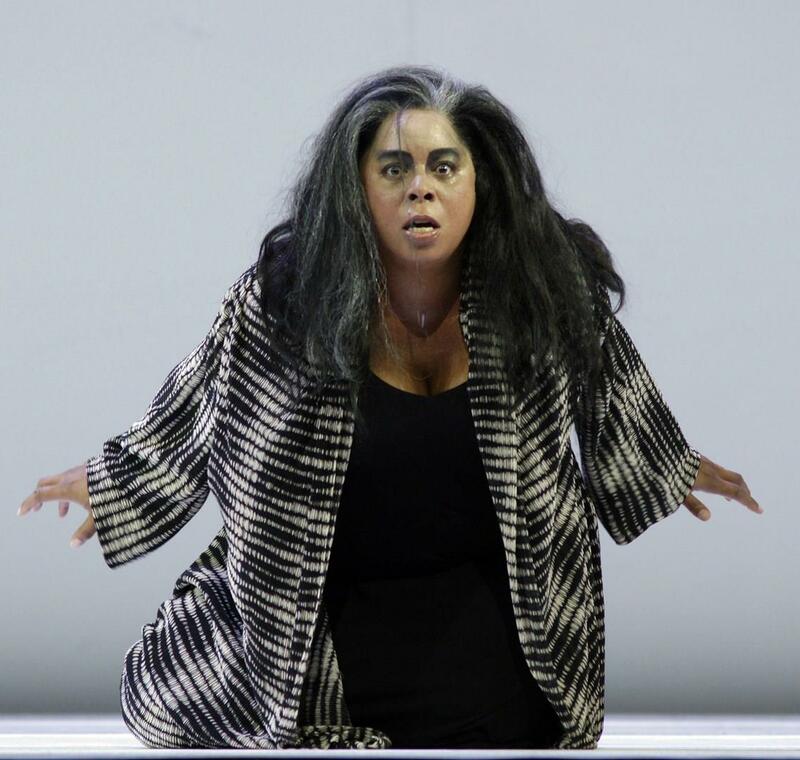 The first revival of Uwe Eric Laufenberg’s production of Strauss’s Die Frau ohne Schatten, originally mounted in the Strauss anniversary year of 2014, has maintained much of its initial casting. 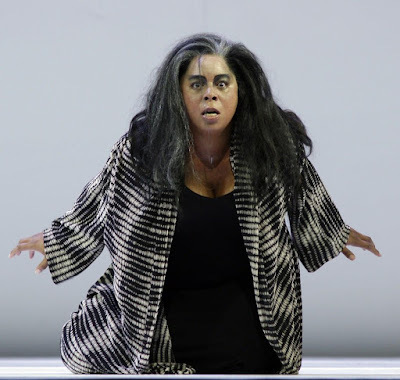 It’s a fairly straightforward staging – if anything about this opera can be straightforward – and, rather like Laufenberg’s Bayreuth Parsifal, tells the story well enough without really suggesting any great insight or rethinking of the ideas behind the symbol-heavy fairytale. A vertically shifting set moves effortlessly between the spirit and human worlds, one white and clinical (though some of the structure was looking grubby with use), the other dingy and dishevelled. Characters are well delineated – the first human scene is particularly affecting, with Barak’s sexual advances rebuffed by his wife to his own bewilderment. The quality of the acting is truly first rate. Laufenberg does little to temper the sickly sweet denouement, fielding crowds of children and adults to drum home the opera’s message of pro-creation – a little irony would not have gone amiss here, let alone some of the pessimism expressed in Staatstheater Kassel’s far more thought-provoking First World War retelling from the same anniversary year. My other main caveat was with the gratuitous torture scene in which at the Emperor’s behest the poor Youth is castrated rather than divulge his complicity, while the Empress has her nightmares of other things. The casting was mixed in its effectiveness. Erika Sunnegårdh as the Empress and Nicola Beller Carbone as the Dyer’s Wife were the highlights – both characterisations full of musical and dramatic insight and vocally contrasted enough to complement each other. Andrea Baker’s steely Nurse was generally impressive though could have done with more depth of tonal colour, and Richard Furman’s Emperor was virile and capable. Oliver Zwarg’s Barak was the one big disappointment. His tone was blustery, he often sang a smidgen flat and there was none of the burnished bass-baritone that should make the role the most sympathetic of the whole opera. His gruff stage presence, however, made his early scenes of marital break-up touching to watch. The large orchestra, spilling out into the stage boxes, played magnificently under the commanding baton of Eckehard Stier. 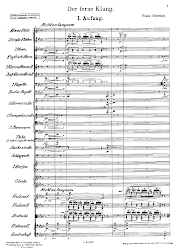 He encouraged the players to let rip in the interludes, though there were times when the singers more distantly positioned on the stage struggled to ride the volume from the pit.